UPDATE: Huge Event Happened in 2017! President Trump recognized Jerusalem as the capital of Israel! This event is 100 years, almost to the day, that British General Edmund Allenby captured Jerusalem from the Ottoman Empire. He captured Jerusalem on December 9, 1917! General Allenby’s capture of Jerusalem, along with the Balfour Declaration in November 1917, set in motion God’s prophetic time clock which is active right down to today! Any event touching Jerusalem always is significant. The reason President Trump’s recognition is so important is no country in the world recognizes Jerusalem as the capital of Israel and no nation has its embassy there. The nations of the world refuse to recognize it as the capital of a Jewish state! What President Trump did was send a diplomatic shock wave throughout the world! Almost all the nations condemned the President, and some made various threats against Israel including war. What the President did was on the scale of what President Truman did in 1948 when he recognized Israel as a state! President Trump’s recognition was actually the second phase in legitimizing Israel among the nations. This event also takes off the negotiating table of dividing Jerusalem and sets the stage for the Muslim nations organizing in an attempt to take Jerusalem from the Israelis. They desire to make the city the capital of a world Islamic caliphate. Two major cycles just coincided with what happened with Jerusalem. The first is the 100th anniversary of Jerusalem being taken away from the Muslims and transferred to the British while second is the 50th anniversary of the unification of Jerusalem. Both of these events had to do with Jerusalem. The next convergence is 2037. This will be the 70th anniversary of the unification of Jerusalem and 120 years since the liberation of the city from the Muslims. Based on God’s timing of events and using his prophetic cycles, it appears that 2037 could be huge in God’s prophetic plan for Jerusalem and the Second Coming of Jesus Christ. The rebirth of the nation of Israel is unique among all the nations in history. Starting around 600 BC, the nation was totally destroyed, not once but twice. Amazingly, after each destruction, it came back into existence. Not only was the nation destroyed twice, but each time nearly all of the people were taken captive into foreign countries. Yet they returned to the land. All this points to the uniqueness of Israel. This nation is not like the others because it is based on an everlasting covenant with God! In 586 BC, the great Babylonian king, Nebuchadnezzar, totally destroyed the nation, government, Jerusalem and the temple. This destruction resulted in nearly all the Jews being taken captive to Babylon. When a people were taken captive as the Jews were, they usually were lost in history. The Jews are different. They remained in Babylon for 70 years and then returned to rebuild Jerusalem and their temple. The Romans, some 650 years later in 70 AD, again destroyed the nation, Jerusalem and the temple. The Jews once again were defeated totally and were dispersed into all the world. The devastation was awesome. Israel should have ended as a nation and probably as a people in 586 BC, but it survived. Israel, definitely should have ended as a nation in 70 AD, but as the ancient Bible prophets wrote, the nation literally was reborn. This occurred in 1948. We live in the time that Israel is again a nation, with Jerusalem as its capital. The people once again speak Hebrew and even have shekels for money! We are living in a time when Bible prophecy is happening before our eyes! As the Day of the Lord and the Second Coming of Jesus Christ grows closer, it is clear from the Bible that the world focus will be on Israel and Jerusalem. The God of Israel deals with the nations as they bless or curse his nation Israel, and his city Jerusalem. 1897 This year is considered the beginning of modern Zionism. Starting on August 29, the first Zionist Congress met in Basil, Switzerland to begin plans for the modern state of Israel in what was then Palestine. The reason for this was a tremendous outbreak of anti-Semitism in France and throughout Europe. 1917 This happened during World War 1: (1) On November 2, Foreign Secretary Arthur Balfour issued what is now known as the Balfour Declaration, expressing the British government’s support for a Jewish homeland in Palestine. 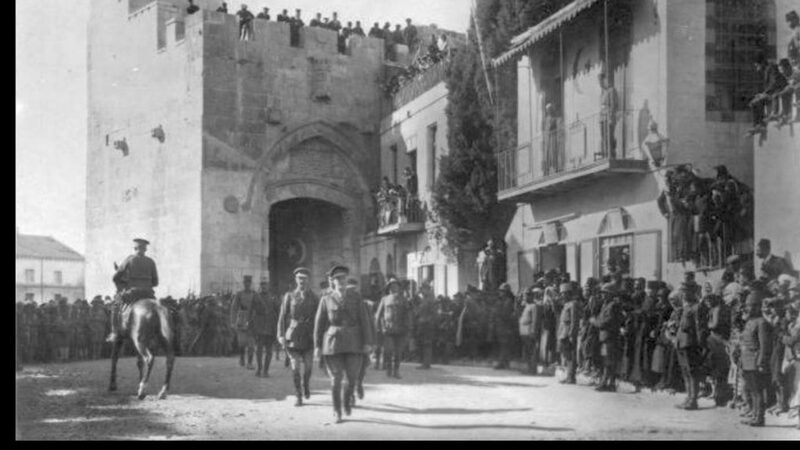 (2) On December 9, the Turkish Army surrendered Jerusalem to the British. 1947 This was the result of World War 2 and the Holocaust. On Nov. 29, the United Nations General Assembly passed a resolution calling for Palestine to be partitioned between Arabs and Jews, allowing for the formation of the Jewish state of Israel. A war followed which ended with Jerusalem being divided. 1967 The Six Day War. This war was fought between June 5 and 10, with the result that on June 7, Jerusalem was united as the capital of Israel. 2017 Jerusalem is first recognized as the capital of Israel by the world’s leading gentile power: the United States. This causes world uproar. When examining these prophetic events regarding Israel, it becomes very clear that dramatic events are happening in years ending with 7. If you take it one step further, these events are spaced years apart that can be divide by 10. Then taking one more step, the years between are 120, 100, 70, 50, 30, and 20. 1897: The concept of a Jewish State. 1917: The Blueprint for a Jewish State. 1947: The reality and first phase of the State of Israel. 1967: Phase two of the State of Israel. 2017: Phase two begins as Jerusalem is recognized as the capital Israel. From the beginning of the Zionist movement it is exactly 120 years. From the Balfour Declaration and the capturing of Jerusalem it is exactly 100 years. From the United Nations declaration it is exactly 70 years. From the uniting of Jerusalem it is exactly 50 years. From the Zionist movement to the Balfour Declaration it is exactly 20 years. From the Zionist movement to the UN declaring the Jewish state it is exactly 50 years. From the Zionist movement to the unifying of Jerusalem it is exactly 70 years. From the Balfour Declaration to the UN declaration it is exactly 30 years. From the Balfour Declaration to the unifying of Jerusalem it is exactly 50 years. From the UN declaration to the unifying of Jerusalem it is exactly 20 years. From the events shown above, there is a convergence in 2017 of events occurring on 120, 100, 70 and 50 years. I am NOT predicting that any prophetic events like those listed are going to happen. What I am saying is that based on the listed timeline, if God follows this pattern, something incredible is going to happen in 2017. So many of these timeline patterns are converging this year that it is a warning to be prepared for a cataclysmic event that may happen. What I also noticed is that the events all happened during either extreme anti-Semitism, war, including world wars, or as the result of one. None of them happened during a time of peace or by a peaceful treaty, but they all resulted from tremendous violence and hatred. What Could Happen in 2017 ? Just as it was prior to both World Wars, today there is a tremendous buildup of anti-Semitism in Europe, with the United Nations and the European Union continually condemning Israel for building on the land, especially in Jerusalem. As 2016 ended, the nations were focused on Jerusalem and demanding that it be divided and made the capital of a Palestinian State. With all of the tension building against Israel and Jerusalem, 2017 might be the year for an awesome war over Jerusalem, or a war that will start and end up with the focus on Jerusalem. It is very possible that the war could light the fuse to Armageddon. This war will not be Armageddon, but a war that will dramatically change the world order and set the stage for the antichrist and Armageddon. It is very possible that this war could break the back of Islam. If this becomes a Muslim religious war over Jerusalem, it is very possible that God will judge Islam over his city and show the world that he is the Holy God of Israel and allah is not God. This would fulfill, for example, Psalm 83, Obadiah and Isaiah 17 along with many other prophecies. With the defeat of Islam, Israel would be free to build the long-awaited third temple on the Temple Mount, and thus, start the countdown for the coming of the antichirst, Armageddon, and the Second Coming of Jesus Christ. For the full teaching on this, see my three part DVD series: America’s Fatal Mistake. I am happy to say that with the election of President Donald Trump, it appears that America has avoided the fatal mistake over Israel and Jerusalem! I am so delighted to report this. My ministry has exploded throughout the world. The key to this is the brochure Jesus Christ Came to Heal the Brokenhearted. Millions have been printed in over 20 languages with a backlog of five million in India alone! Incredible numbers of Hindus, Muslims, (yes Muslims) Buddhists, and pagans have come to Christ for salvation and healing. Throughout Asia and Africa, there are now thousands of pastors working with me. The ministry has grown far beyond what I can provide financially just to meet the printing costs. 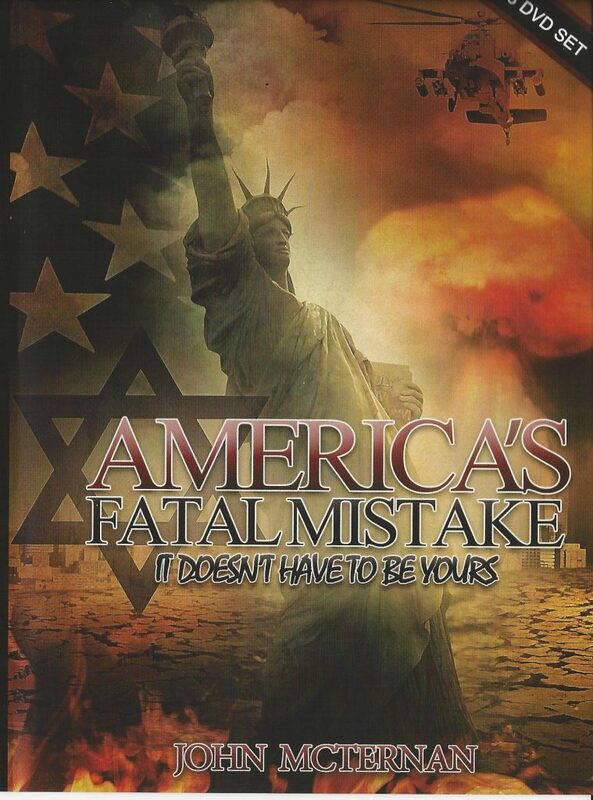 What I am doing is offering a $15.00 special of my book As America Has Done to Israel and the DVD series America’s Fatal Mistake. This means the DVD is free. 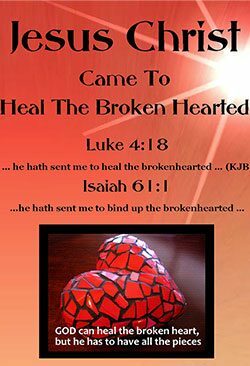 The proceeds will go to fund the ‘healing the brokenhearted’ message throughout the world. 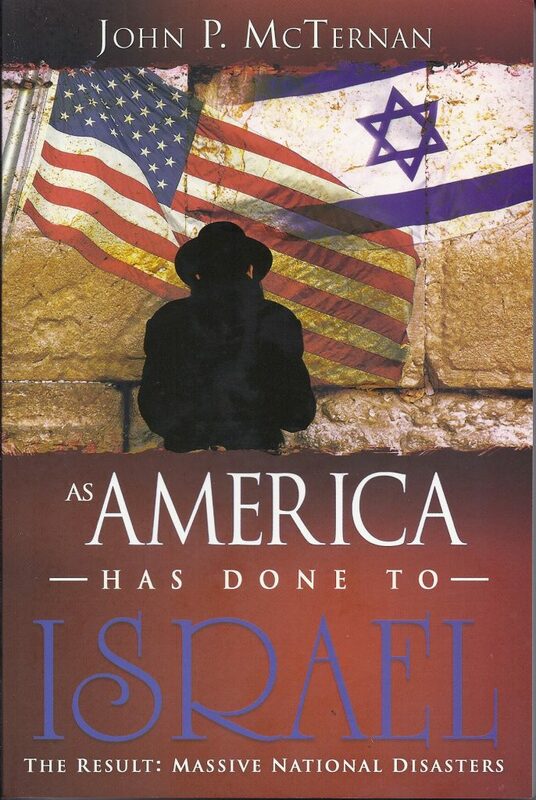 To order the special go to: As America Has Done to Israel.